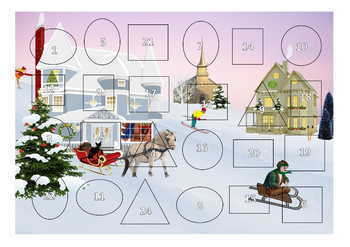 An Advent Calendar that promotes thinking of others. Instead of finding a gift for oneself behind the door of each day in this calendar behind each door is an act of kindness for the student to perform. 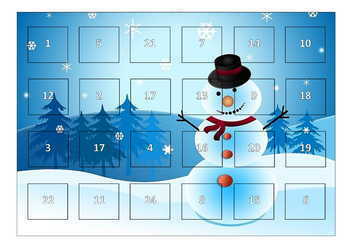 Although it can be made in one extended session of work allow your class two or three sessions to make this a high presentation advent calendar that each student can take home and use. Students will choose a front image to cut doors into. Using the doors they then stencil the location for the acts of kindness on to a backing sheet. 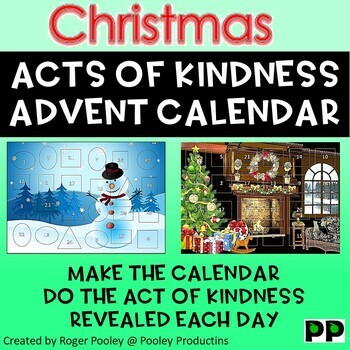 After writing in their acts of kindness the two sheets are glued together to form an Advent calendar. If writing in small spaces is a challenge for students there is also the option to use preprinted acts to cut and paste behind doors. 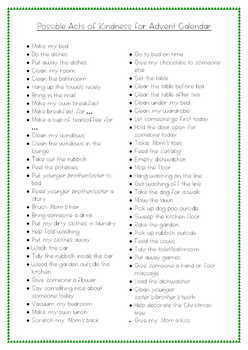 - a list of suggested acts of kindness, US and UK versions.